The Interstate 2 designation applies to 46.8 miles of preexisting U.S. 83 freeway between a point west of Mission and the new Interstate 69E in the Lower Rio Grande Valley of Texas. 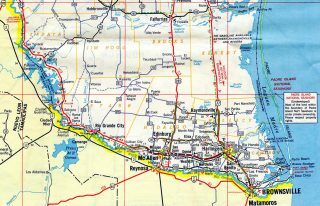 The route serves McAllen, Pharr (Interstate 69C), Donna, Weslaco, Mercedes and Harlingen. 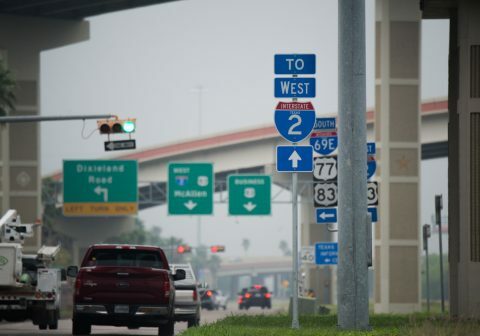 Long range plans may extend I-2 northwest along U.S. 83 to Laredo. Exit numbers and mileposts were added to Interstate 2 through the Rio Grande Valley by January 2016. They reflect the distance from Laredo, the long range planned west end of IH 2. 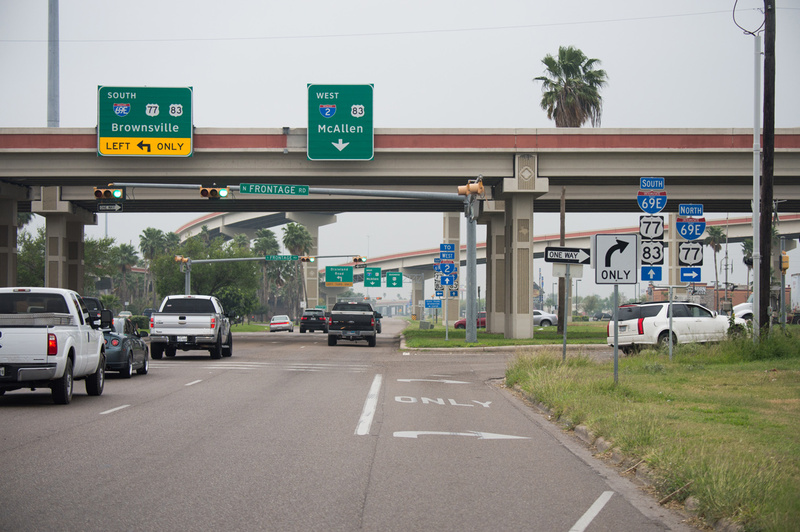 U.S. 83 was rerouted between Mission and Harlingen between 1963 and 1966. This bypass was upgraded to a freeway in 1971-72. 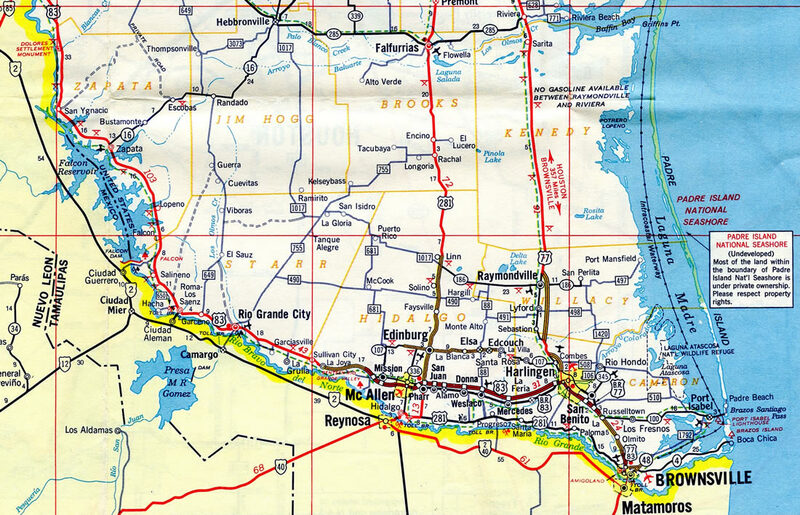 The U.S. 77 freeway southeast from Harlingen to San Benito was constructed at the same time as the U.S. 83 freeway. Spur 206 forms a one-way couplet along Tyler Avenue east and Harrison Avenue west to Downtown Harlingen. The state highway forms the initial frontage roads for IH 2 below the directional T interchange with IH 69E and U.S. 77-83. Photo taken by Jeff Royston (03/16/16). High speed flyovers connect the Interstate 69E mainline with Interstate 2 & U.S. 83 leading west to McAllen. Spur 206 travels at-grade below the ramps to connect Harlingen with IH 2 via an on-ramp beyond Dixieland Road. Photo taken by Jeff Royston (03/16/16). Interstate 2 follows all of the U.S. 83 freeway to the Showers Road interchange at Palmview, where the limited access highway transitions into a surface arterial. “Valley’s highways become one interstate.” ValleyCentral.com (KGBT TV-4), July 9, 2013. “Another 116 miles added to I-69 system in Texas.” Wharton Journal Spectator, June 5, 2013. 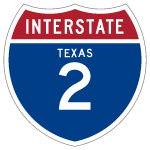 “Re: Interstate 2” online posting by JotheC11, AARoads Forum, January 18, 2016.